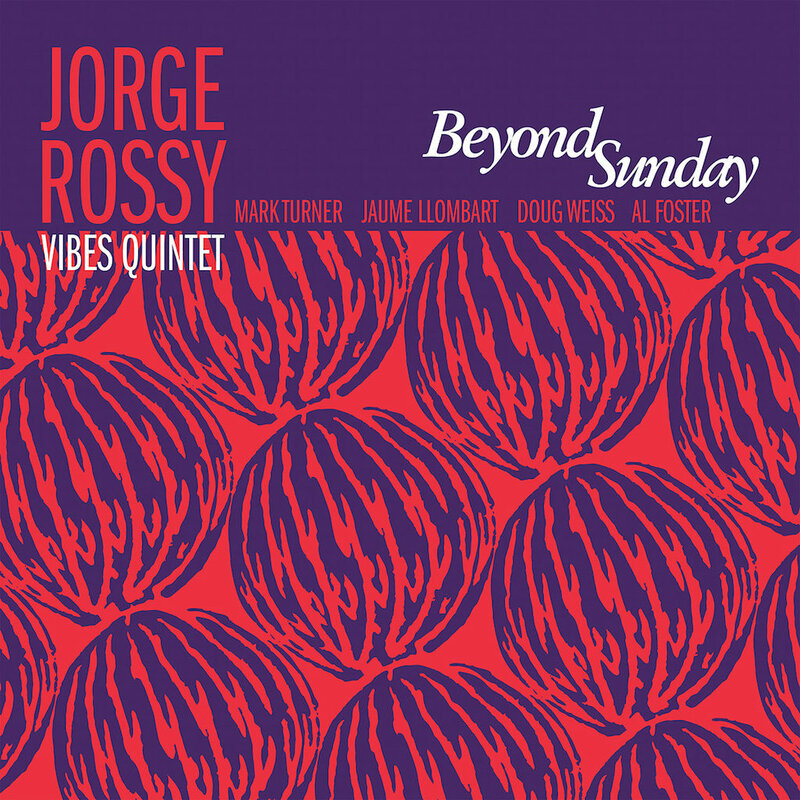 Jorge Rossy’s emergence as a multi-instrumentalist has been remarkable. That’s to say, he can perform on each instrument he takes up, as though the sounds arise without laboured preparation. Known primarily as the drummer in the Brad Mehldau Trio, he had gained admission to the Berklee College of Music in Boston as a trumpeter. Then, having given to the Mehldau trio sound as much as its leader had supplied on a different instrument, he switched to piano back home in Barcelona. It was not in emulation of his former boss – that would have invited unjustified comparisons – but as a means of moving through different ensembles to discover where his keyboard style sat most comfortably before recording an album under his own name. Then he switched to vibraphone in 2016 like someone whose dexterity and aptitude were simply toying with a range of possibilities and creating alliances almost at random. Thus was formed his vibes quintet, whose second album this is. “Vibes quintet” is a misnomer insofar as Rossy’s is not an encroaching presence, the chordal instrument is in the hands of Catalan guitarist Jaume Llombart, and the band is very much a collective. Not even the deployment of Rossy and tenor saxophonist Mark Turner as carriers of the head arrangements has any special vibes-given colour. The trouble is that the full flowering of those talents is suppressed in the interest of a somewhat prissy and unadventurous set of charts, all but three of which are Rossy compositions. The result is an unexceptional album performed by a band resembling a MJQ beefed up, but with Rossy lacking anything comparable to Milt Jackson’s countervailing earthiness. The favoured tempi, with the exception of the fifth track, “Joe’s Dream”, is relaxed Latin shuffle, andante, and contemplative hold. The final track, Thelonious Monk’s “Introspection”, has much of its Monkish spikiness ironed out. Mention of Monk recalls Llombart, whose phrasing is described in the accompanying PR gush as “startlingly Monk-like”. Up to a point. The trouble is that its light is dimmed, whereas Doug Weiss’s bear-hug acoustic bass often overloads the sound and Al Foster just gets on with his understated goading, literally in the background. That leaves Turner’s lissom but wide-ranging tenor to attract most of the attention. He can turn on a sixpence, probe with interest north and south, and create solos with beginnings, middles and ends despite their elasticity – and all with the lightest of touches. The listener travels with Turner but stays put to observe the others, including Llombart with his soft-pedalled solo on “Sleepin’ In” and Weiss with his heavily underlined one on “Kierra”. As far back as 1995, Rossy on drums was a member of a Turner quintet that included Mehldau and Larry Grenadier on bass, so effectively an embedded and pre-nascent Mehldau trio. Aside from the hand-holding heads, Turner and Rossy are poles apart. Weiss is also a long-time friend of Rossy and suggested recruiting Foster, who played on a 1991 album by Paquito D’Rivera, for whom Rossy was the regular drumsmith at the time. So plenty of reasons why this band should gel. Its overall sound, however, is set in a mould and cannot take flight without significant change. One wouldn’t refuse to be lulled by it any more than one would be likely to sit up and take especial notice. But lulled is a supine state. Rossy (vib); Mark Turner (ts); Jaume Llombart (g); Doug Weiss (b); Al Foster (d). No recording details, circa 2018. "...plenty of reasons why this band should gel. Its overall sound, however, is set in a mould and cannot take flight without significant change".